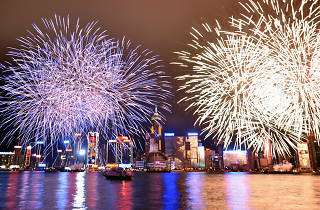 To celebrate the 68th anniversary of the establishment of the People's Republic of China, Hong Kong’s annual National Day Fireworks display returns to Victoria Harbour featruing full-moon-shaped fireworks to symbolise Mid-Autumn Festival and 3D heart-shaped display symbolising solidarity. The 23 minute extravaganza kicks off at 9pm and is divided into eight scenes. 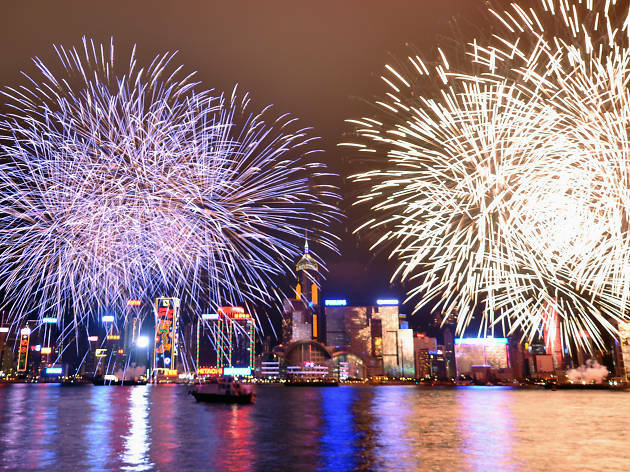 Avoid the crowds at Causeway Bay and catch the fireworks at Admiralty's Tamar Park or the Tsim Sha Tsui Promenade next to the clock tower. Make sure to get there early!